As we have previously reported, Mike Reagan produced set of “Fallen Hero” portraits (shown below in poster form) for the families of Polish KIAs of the Iraq/Afghanistan conflicts, which were of course well received by those families in Poland. 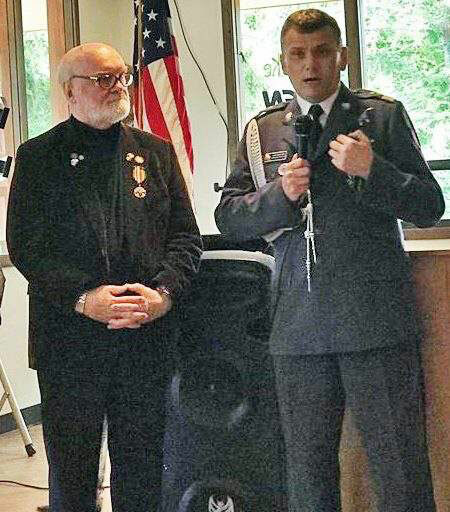 On the Sunday before Fathers Day, Mike was awarded a Polish medal in honor of his work at a ceremony in Redmond. The medal was presented by Major General Cezary Wisniewski of the Polish Air Force. The General is known as the Polish F16 “Ace” and trainer for their air force and is expected to be the next Commanding General of the Polish Armed Forces. Mike also learned that three Polish Soldiers are riding their bikes across the USA to remember their fallen, and began in LA recently. They are headed to the East Coast. They stop everyday and set-up a display of their fallen. 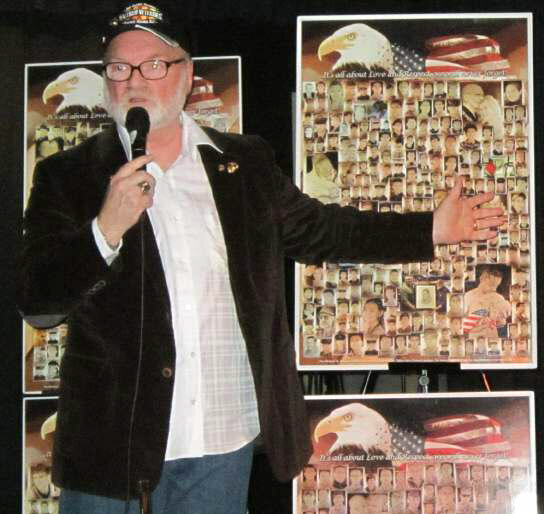 “Yep, they are using posters made up of my portraits to show the USA who their fallen are”. They all fell, 66 of them, fighting with American Special Forces. Mike has drawn over 5,000 portraits of deceased veterans.